Japanese government approved all five elementary school social studies textbooks and two atlases that marked Takeshima as Japanese territory. On the afternoon of the 30th April 2010, the Japanese Ministry of Education, Culture, Sports, Science and Technology announced the authorization result of the elementary school textbook. 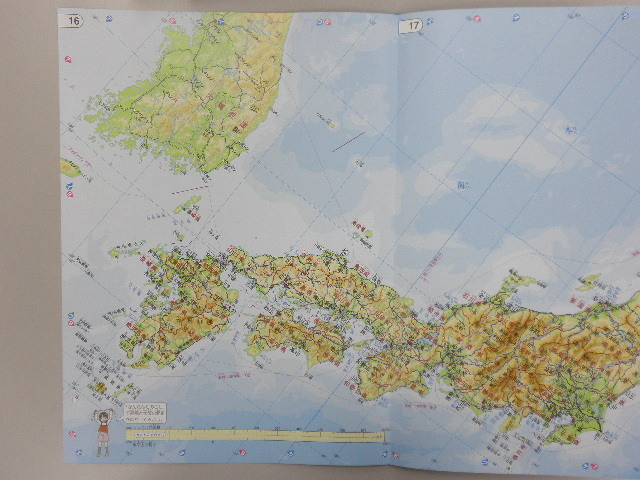 Two of them added the borderline to the west of Takeshima so that it gets more clear that Takeshima is Japanese territory, taking the opinion of the Ministry. This made all the elementary school social studies textbooks and atlases clearly depict Takeshima as Japanese territory now. The textbooks are revised every two or three years. The photos are from the new edition that are going to be in use from next year. 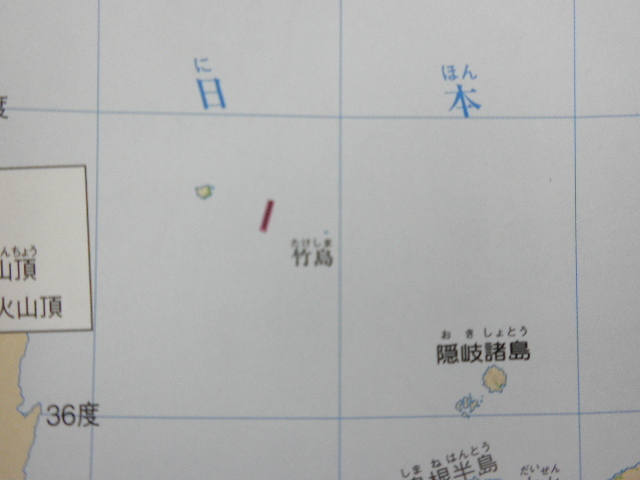 The last map doesn't depict the borderline, but it says "We have another (territorial) Issue, Takeshima. 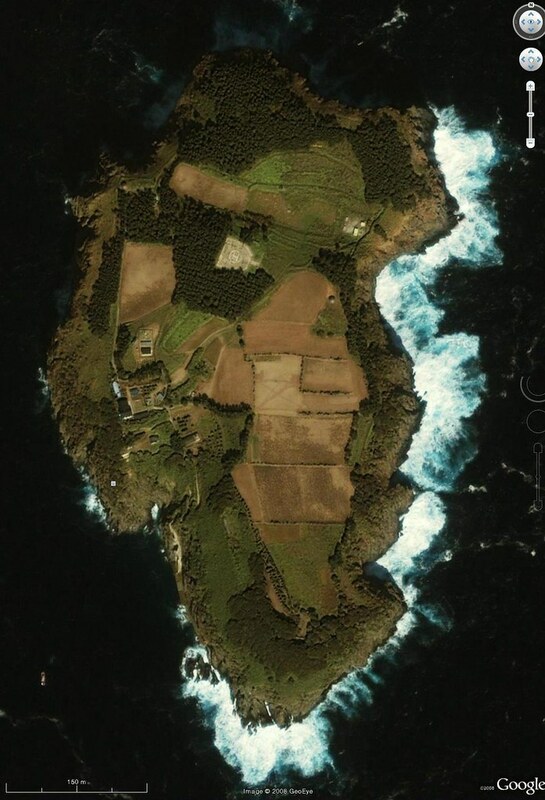 South Korea illegally occupies the islets that belong to Shimane." On that evening, "Korean Foreign Minister Yu Myung-hwan summoned Japan’s top envoy to Seoul, Toshinori Shigeie, to file an official complaint over Tokyo’s claim to the islets, known as Takeshima in Japan. " On 2nd April, three days after the approval, Koren Diet held a full session and carried the arrogant and egoistic resolution unanimously to intervene in the domestic affairs of Japan. 2010 - Apr. 02 - "Resolution to demand the cancellation of Japanese Government's approval of Social textbook books that mark Dokdo as Japanese territory. " More news from Choson Ilbo & others. 2010 - Apr. 07 - The Japanese government has again claimed Takeshima as its own territory historically and under international law in the latest diplomatic bluebook. 2010 - Apr. 09 - Japanese Prime Minister Yukio Hatoyama has made it clear that Tokyo continues to claim Korea's easternmost islets of Takeshima. 2010 - Apr. 16 - Japanese government lodged a protest at a South Korean plan to launch a geological survey near Takeshima, calling for an immediate suspension. For the honor of PM (loopy) Hatoyama, he didn't say this enthusiastically, but was only forced to answer to the question about Foreign Minister Okada's indecisive answer about the Korea's Heliport repair and base construction plan on Takeshima at the Committee on Foreign Affairs on 14th April. The Korean Ocean Research and Development Institute then planned the geographical survey, which could aid construction of facilities around the islets and announced it will be conducted between April 15 and May 10. Following the announcement, Japanese State Secretary for Foreign Affairs Fukuyama Tetsuro told South Korean Ambassador to Japan Kwon Chul Hyun that the survey "is unacceptable" and that it should be suspended immediately. On 16 May, Minister Okada urged South Korean Foreign Minister Yu Myung Hwan for South Korea to be "cautious" and "restrained" in the geographical survey they planned. By the way, Nikkei Shimbun analyzed in the following article that " in 2008, the Ministry decided to describe "Takeshima" in a teacher's handbook on the new curriculum guidelines for middle school social studies for the first time, resulting South Korea intensely repulsed. 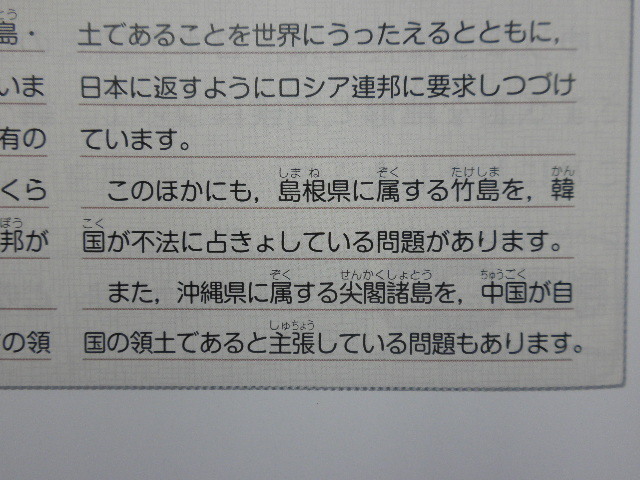 It seems that all (textbook publishing) companies took the issue up from the rise of the concern for the Takeshima this time even though Takeshima doesn't appear in the explanation of the elementary school version handbook." 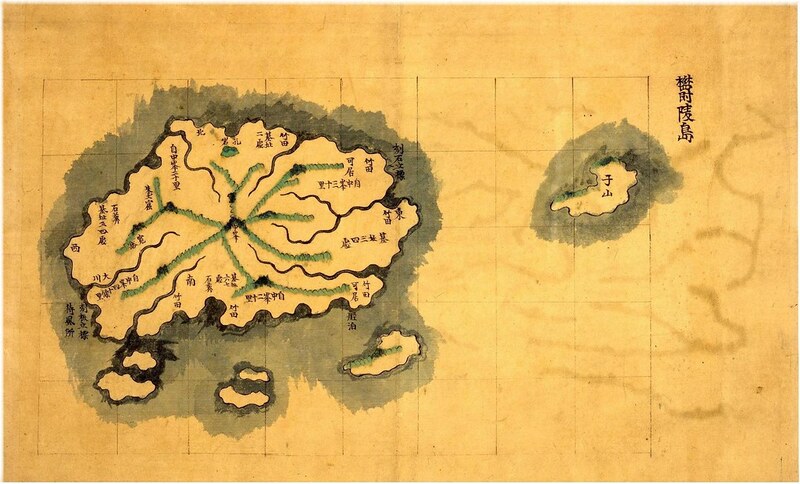 Choson Ilbo reported that "this is the first time for Japan to mark the islets on a map in the textbooks", which is totally inaccurate, since Takeshima have been clearly marked as Japan's territory for a long time in some textbooks. 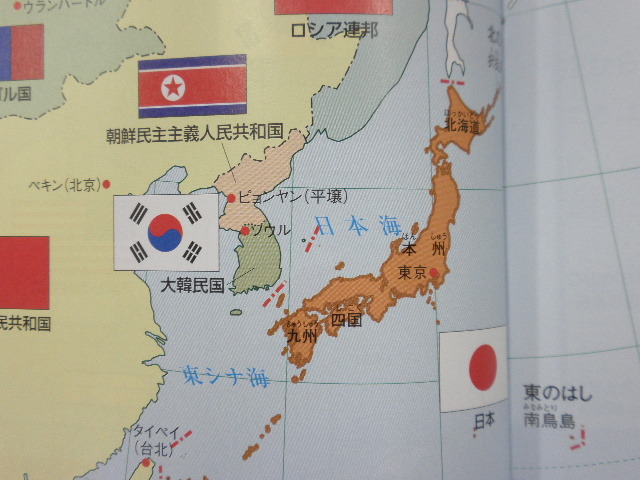 The Japanese government unveiled elementary school textbooks that have a map of Korea's Dokdo islets marked as Japanese territory. 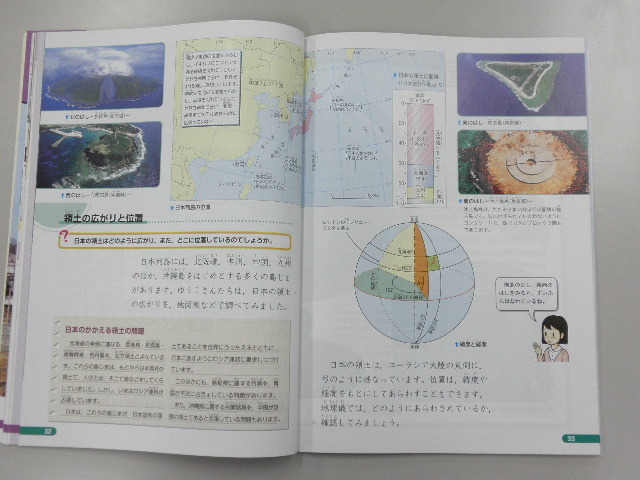 Japan's education ministry made public 148 of such textbooks in Tokyo. 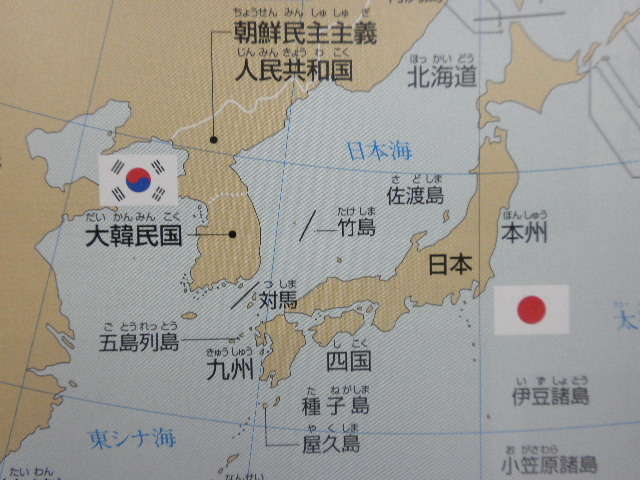 The map shows a demarcation line clearly separating Dokdo and Ulleung Island in the East Sea to emphasize that Dokdo belongs to Japan. 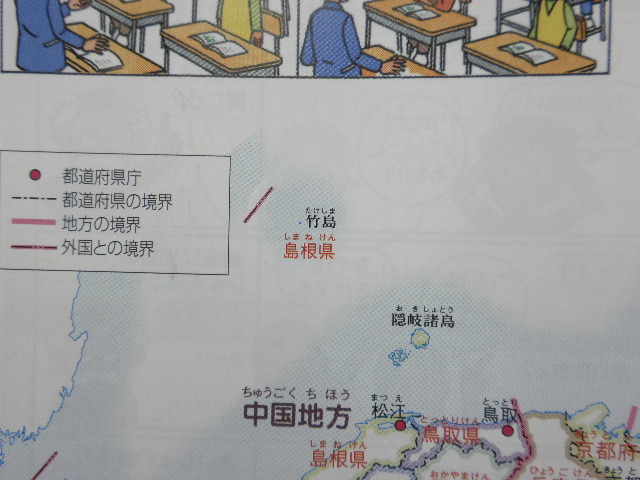 This is the first time for Japan to mark the islets on a map in textbooks. It plans to start distributing them nationwide starting in July. On the other hand, JoongAng Ilbo accurately reported that "Previously, only three of the five Japanese textbooks for elementary students described Dokdo as Japanese territory, but now all five contain descriptions or maps that claim Japanese ownership of the islets." 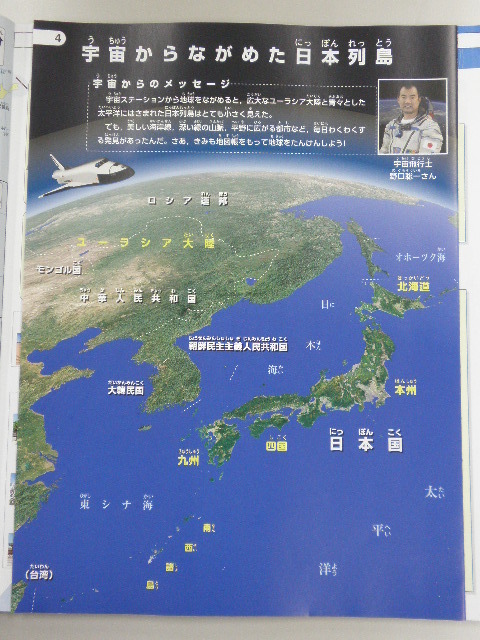 and "One of the five textbooks approved Tuesday for use in 2010 by Japanese fifth graders says South Korea “illegally occupies” the islets." 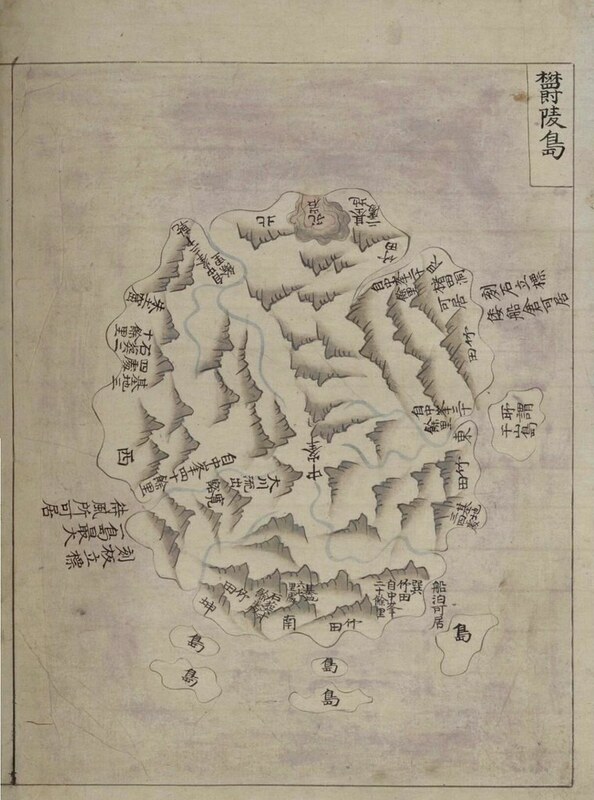 Russian official document wiped out "Takeshima/Liancourt Rocks(Olivutsa & Menelai)" from the map and described Korea's easternmost is Ulleungdo(130°54′ E.) , which excludes Liancourt Rocks from Korean territory. In 1854, Russian frigate Paleada under the command of Admiral Evfimii Vacilevich Putiatin, was known to have surveyed the island and named it Olivutsa(Оливуца) & Menelai(Менелай), five years after French whaler Liancourt found Takeshima/Dokdo and named as Liancourt Rocks in 1849. 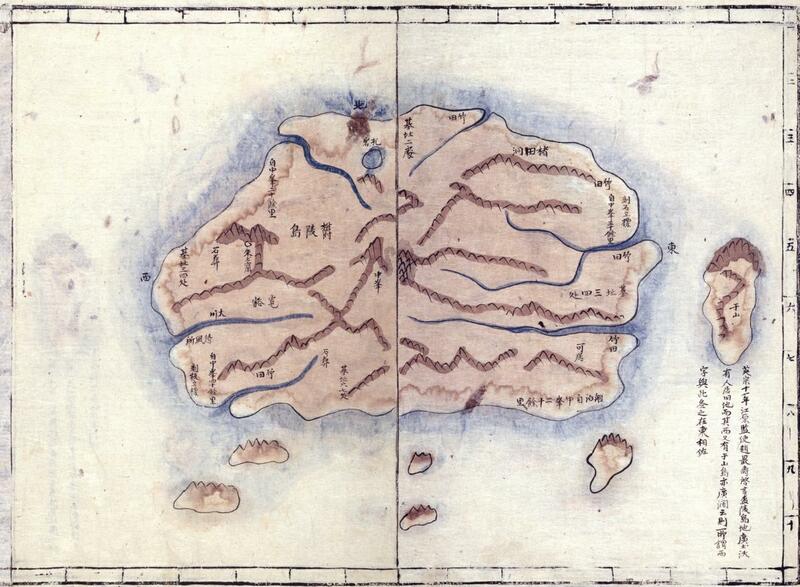 "Map of Joseon's Eastern Seashore" by the Russian Navy Hydrographic Service in 1857 shows Russian had known accurate location and topography of the island. 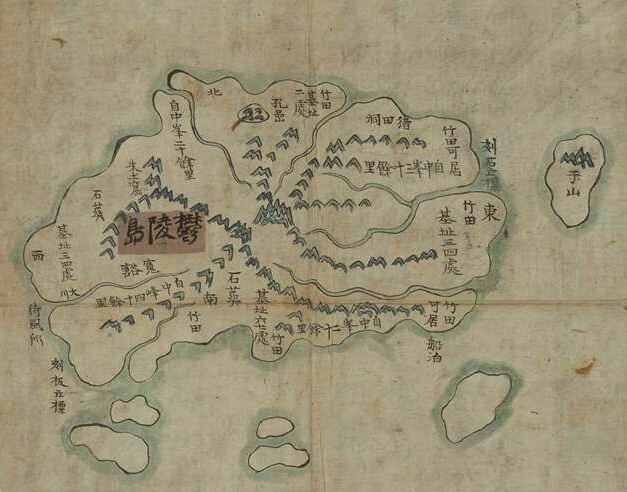 Korean claim Russian nautical-chart in 1857 shows Russian considered Takeshima/Dokdo as Korean territory since it's title is "Map of Joseon's Eastern Seashore" and the island is included. However, nautical chart is a nautical chart, which are produced for the purpose of safety of vessels and ships, not for territorial determination. 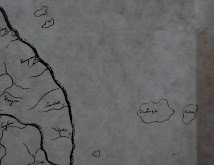 Moreover, map itself doesn't always show the territorial issue unless it has national border or any other indication. 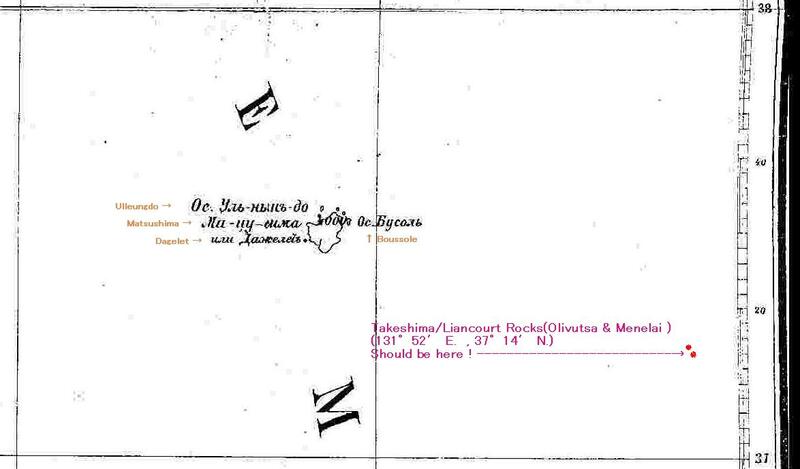 In 1892 Russian book, as we have studied, Russian diplomat Podzhio highly likely considered "Olivutsa & Menelai(Liancourt Rocks)" DOES NOT belong to Choson. 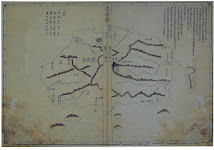 The map of Korea included Olivutsa(Оливуца) & Menelai(Менелай) as did before, but description of both eastern limit of Choson peninsula and Gangwon Province (江原道) of his book did not. 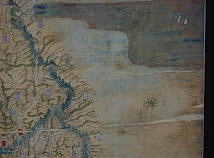 This practically shows the fact that a single old map, such as "Map of Joseon's Eastern Seashore", without any clear indication of territorial jurisdiction, never "serve as crucial evidence to prove whether a territory belongs to a certain country and not another". Finally , the Russian official book "ОПИСАНIЕ КОРЕИ (Overview of Korea)" finish this Korea's silly claim that "Russian considered Liancourt Rocks belong to Korea" off, since 1. 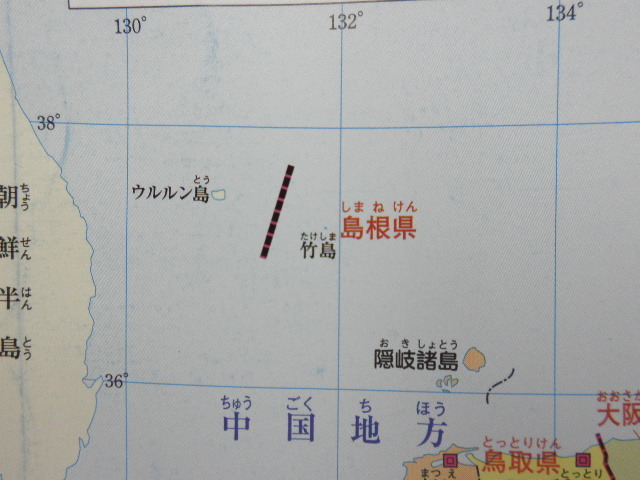 The geography chapter clearly wrote "Korean easternmost is Ulleungdo at 130°54′ E." and 2. 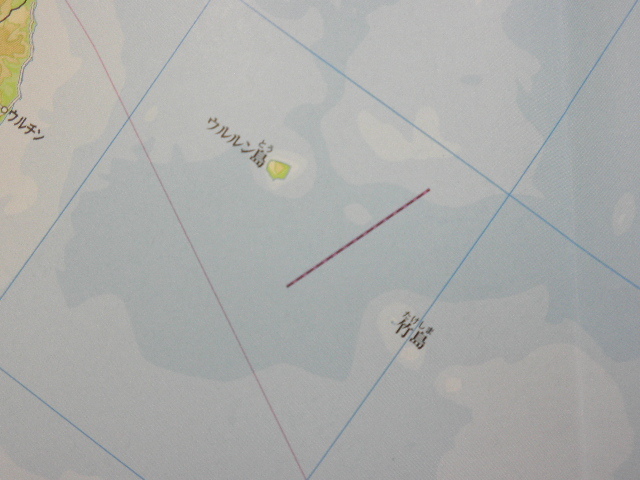 It's attached map even wiped Takeshima/Liancourt Rocks(Olivutsa & Menelai : 131°52′ E. , 37°14′ N.) off where it should be, along with north western part of mainland of Japan, from the map of Korea. Apparently, Russian government seems have officially concluded that Liancourt Rocks never belong to Korea (or possibly, it's " jurisdiction unknown : tella nullis"), after almost 43 years. 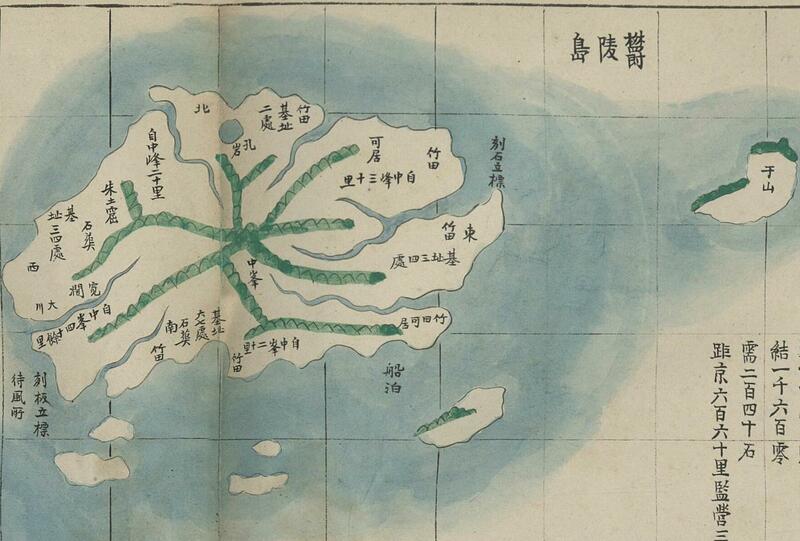 (note : Even Russian labeled Ulleungdo as "Matsushima", likewise other western countries, in both 1892 and 1900 map. 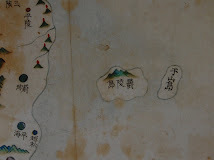 Korean claim that Matsushima during Meiji era was an old name for today's Takeshima/Liancourt Rock, but in fact, they started to call Ulleungdo as Matsushima from early Meiji era. 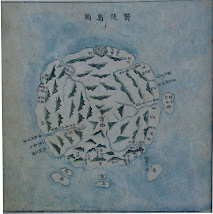 The ancient name Takeshima for Ulleungdo was used for the phantom island Argonaut mainly, but some still called Ulleungdo as Takeshima. 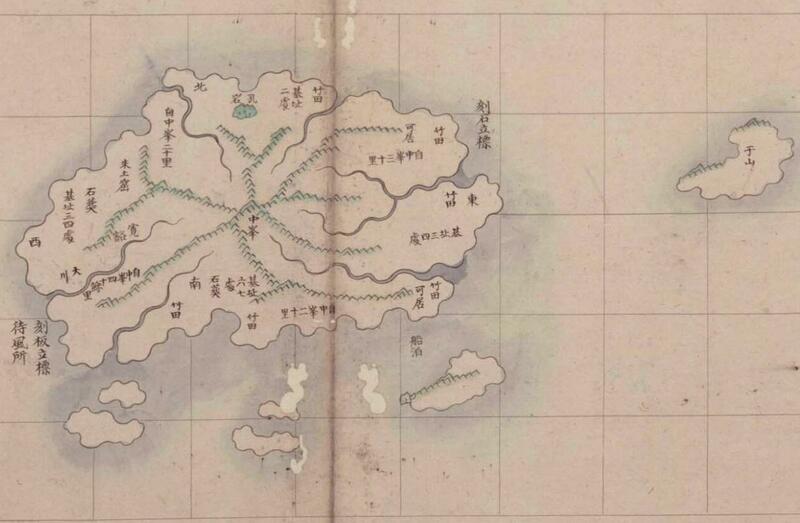 So three names, Takeshima, Matsushima and Ulleungdo were used for Ulleungdo, especially in the early Meiji era. 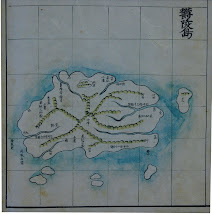 That was the reason both "Takeshima/Matsushima" or Takeshima and the other island(= Matsushima) was used for Ulleungdo in Japanese official record, which Korean mistakenly claim Japan gave Matsushima, the ancient name for Liancourt Rocks, to Choson, in 1870 and 1877, respectively. 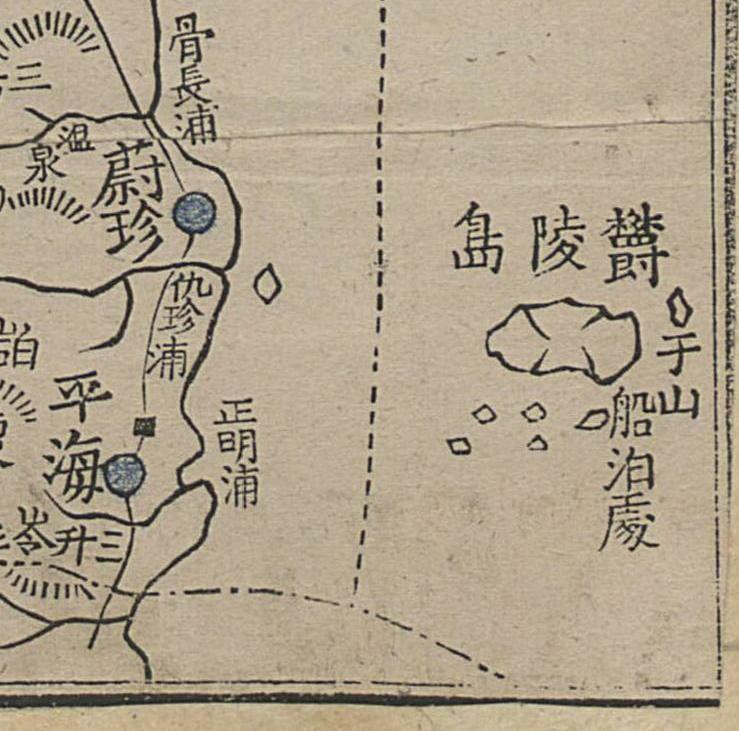 This confusion also caused some troubles in Japan, but the corresponding letters among Shimane prefecture, Ministry of Interior and the Ministry of Foreign Affairs clearly shows both "Takeshima/Matsushima" or Takeshima and the other island(= Matsushima) were not for today's Takeshima/Liancourt Rocks, but Ulleungdo solely. ) 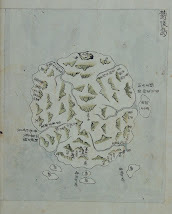 There is a Korean diplomatic document that shows even Joseon called Ulleungdo as Japan's "Matsushima"
On top of that, this book was translated into Japanese and published by the Ministry of Agriculture and Commerce in 1905, then naturally, it is also highly likely that Japanese official knew Russia considered Liancourt Rocks doesn't belong to Korea. This Russia's conclusion coincides with other countries', including America, German, British, Japan and even Korea herself, as shown below, and represents the then global common wisdom since it was written based on more than 800 books, journals, maps and nautical charts etc. from all over the world as were listed in the 3rd volume of the book. So far, none of the maps and documents globally around the year 1900 we have studied as well suggest that Takeshima/Liancourt Rocks/Dokdo belong to Korea. As the above post shows, there was no single country, including Korea herself, considered Takeshima/Liancourt Rocks/Hornet Island was Korea's. 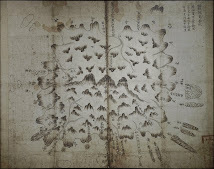 Japan didn't seize Ulleungdo even though they had every chance/reasons to do so and those documents and maps showed it could be Japan's territory. 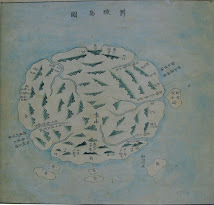 However, Japanese government didn't since they knew Matsushima (or Takeshima in ancient time) is Choson's Ulleungdo as 1877 and 1870 official documents concluded. In conclusion, Japan's incorporation of Takeshima into Shimane in 1905 as tella nullis is fair and totally legitimate. 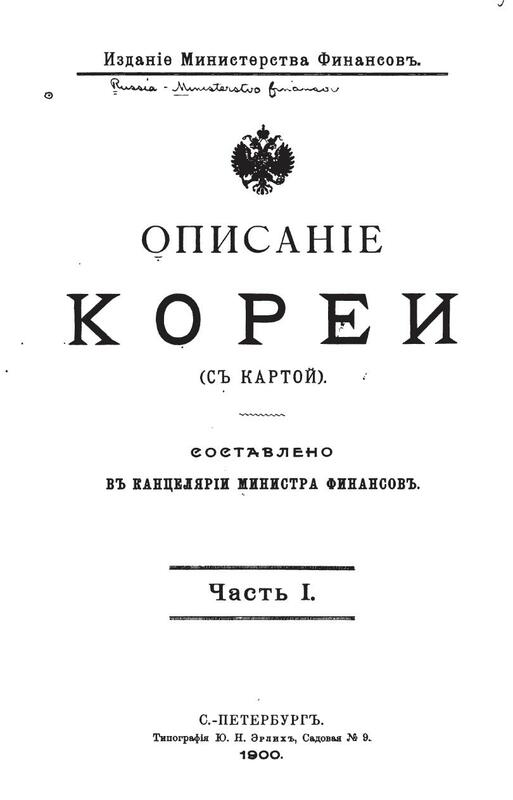 Volume I of "Opisanie Korei (ОПИСАНIЕ КОРЕИ)" is downloadable from this site. Click "free user" for free. 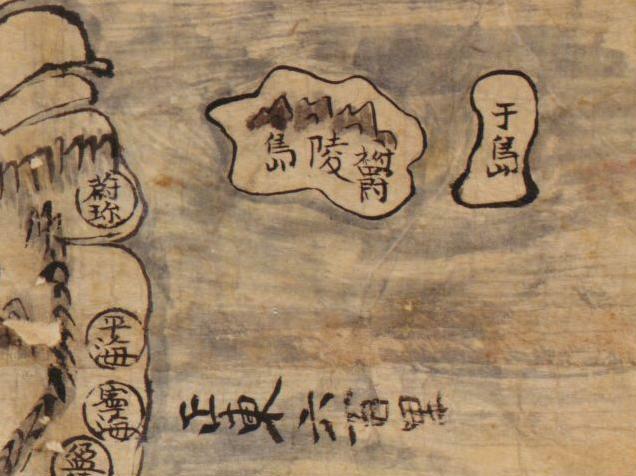 The map attached to the third volume is copied from the National Diet Library of Japan. "Opisanie Korei (ОПИСАНIЕ КОРЕИ)" showed above was provided by matsu. Thanks, as always. ... It's really good to see he does his job this time. As for the issue of the rocky disputed islets, which Japan calls Takeshima and South Korea calls Dokdo, Okada said he told Yu that he wants South Korea to be "cautious" and "restrained." The two countries have long been at odds over the sovereignty of the islets as well as the name of the body of water they're in — the Sea of Japan. Okada and Yu agreed they should make efforts to ensure the issue doesn't sour bilateral ties. SEOUL, May 17 (AP) - (Kyodo)—Japanese Foreign Minister Katsuya Okada asked his South Korean counterpart Yu Myung Hwan on Sunday to halt activities, including geological surveys, related to South Korea-controlled islets in the Sea of Japan, a diplomatic source told Yonhap News Agency on Monday. "In explaining his country's position, Foreign Minister Okada asked Foreign Minister Yu to halt activities related to Dokdo," the source was quoted as saying. "Specifically, (minister Okada) mentioned geological survey in waters around Dokdo," the source said. In response, Yu reiterated the government's stand that Dokdo is South Korean territory historically, geographically and in terms of international law. Okada and Yu held bilateral foreign ministerial talks following a trilateral foreign ministerial meeting with China in Gyeongju on Saturday. 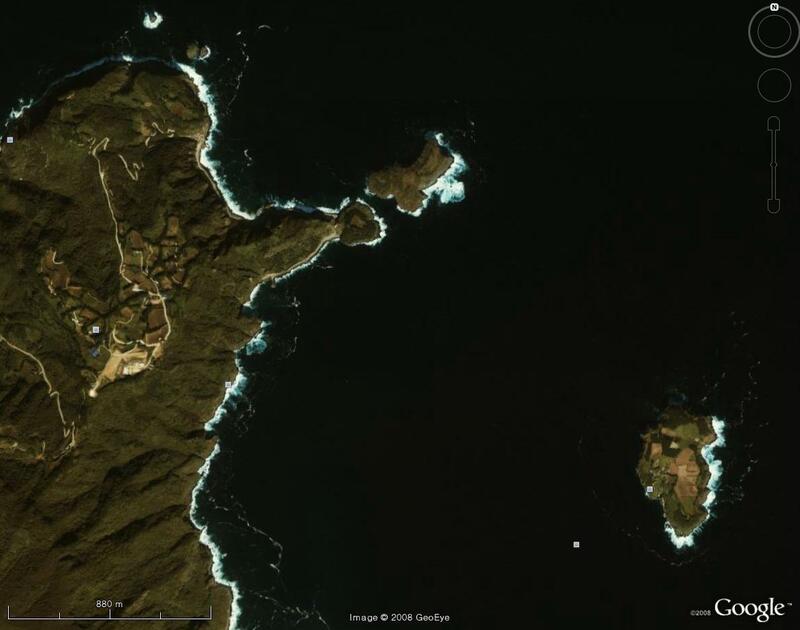 The (South) Korean Ocean Research and Development Institute conducted a geological survey from April to May 10, which it has said was expected to be useful when building facilities around the islets known as Takeshima in Japan. 오카다 가쓰야(岡田 克也) 일본 외무대신이 지난 16일 경주에서 열린 한.일 외교장관회담에서 유명환 외 교통상부 장관에게 지질조사를 비롯한 한국 측의 독도 관련 활동을 자제해 달라고 요청한 것으로 17일 확인됐다. Among almost all the fierce and "uncontrolled emotional" comments, I was very impressed with one of the comments from the Choson online site above. At least one out of 24 Korean knows Korea's claim on Takeshima/Dokdo is not based on a systematic historical investigation. Korean academics need to study the historical documents not a priori/deductively, but inductively, or no one except for fanatic pro-Korean would ever be convinced. "Opinion Ad by The Unity of Asian Peace and History Education"
" Unity of Asian Peace and history education" of South Korea (consists of 64 groups in total ) took out the issue ad to a San-in Chuo Shimpo, the local paper in Shimane, the next day of "Takeshima Day" commemorative ceremony of the 5th held in Shimane Prefecture Matsue City (February 23, 2010). Korean groups had payed for the groundless issue ads to The New York Times and The Wall Street Journal, etc. up to now, but they finally landed on Japan. The purpose of the issue ad by the pressure groups from South Korea is to seal Japan's claim of the sovereignty of the Takeshima. To that end, Korean always use the old trick, namely, the logic to tie the Japan's incorporation of Korea in 1910 and the incorporation of Takeshima in 1905 so that they could call the incorporation as "invasion" arbitrary. However, there is no fact Takeshima/Dokdo has ever been a Korean territory historically nor in accordance with the International Law, as the the Shimane Prefecture's Takeshima Research Group proved empirically. Therefore, annexation of Korea in 1910 has anything to do with incorporation of Takeshima in 1905 at all, thus it is necessary to separate the two as individual historical event respectively, since they are unrelated in any way to each other. For all those fact, why South Korea tie the annexation in 1910 to the Takeshima issue, exclaiming and overemphasizing Japan's "invasion" frantically? That is because, in Korea, they tend to see the historical event in view of posterity and translate the history arbitrary. The issue ad by "Unity of Asian Peace and history education" frankly tells it. 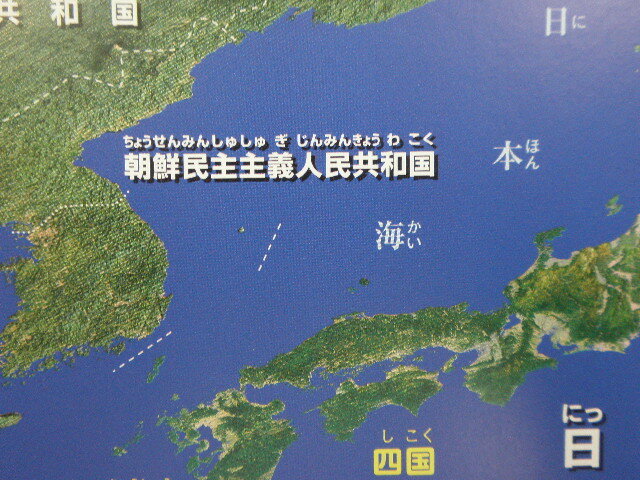 In the issue ad, they say that "Takeshima/Dokdo issue might be mere territorial issues for Japanese people, but it for people in South Korea is the symbolical existence reminded of a painful scar of colonization, and one of the pages of the painful history to which the invasion and colonialism brought." Nevertheless, this claim can be justified only after Korean could prove Takeshima/Dokdo to be historical Korean territories. However, Korean kept failing to prove this crucial point up to now, to our regret. Japan's incorporation of Takeshima, which was "Terra nullius", in 1905 has nothing to do with annexation of Korea in 1910, let alone it never be "one of the pages of the painful history to which the invasion and colonialism brought." The issue ad they posted are written intentionally, as a sharp pen, "mere territorial issues for Japanese people" as if it is not so serious, yet Takeshima is lawfully Japanese territory in accordance with International Law. Today's Takeshima/Dokdo issue stems from the fact that Korean government set the "Rhee Syngman Line" on the high seas and included Takeshima withing the line on Jan. 18th, 1952. 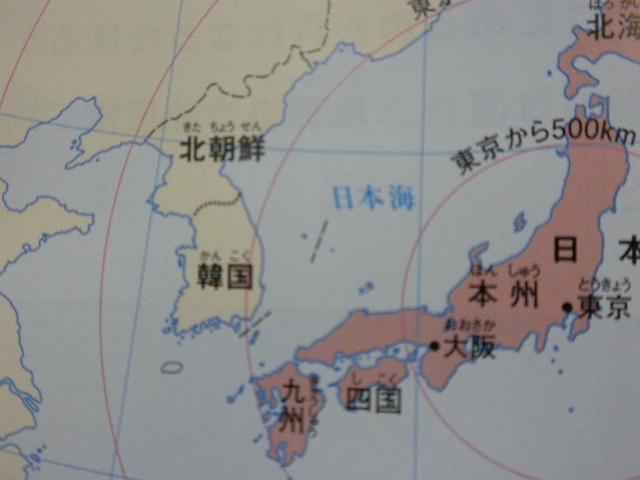 As a historical fact, it is Japan, not Korea, that a part of territory is deprived and his own sovereignty was violated. Appealing to an emotionally‐loaded argument such as "reminds of a painful scar of colonizations" is only the political demagogues to conceal the fact of their own "invasion" of Takeshima. The reason that the majestic historical fact of "Invasion of Takeshima by Korea" had somehow been replaced by "the symbolical existence reminded of a painful scar of colonizations for Korean" owes Korea's serious flaw of historical translation. Appealing to the emotionally-charged argument as such is only a political demagogy to conceal the fact of their invasion of Takeshima. In fact, every time both country argue the issue, South Korean tries to think out various reasons to make Takeshima/Dokdo as its territory by arbitrary interpreting the document and historical materials without historical grounds. The misconception of history that "Incorporation of Takeshima into Shimane Prefecture was the first sacrifice of Invasion by Japan" originally derived from the statement of Byeon Yeong-tae(卞栄泰) the Minister of foreign affairs, made in October, 1954. When Japanese Government proposed bringing a case to International Court of Justice to the South Korea government that constructed the lighthouse in Takeshima and disposed the coast security force in September, 1954, Byeon called it as "The second invasion" following the annexation of Korea in 1910. Since then, the perception of history assumed to be "The second invasion" has been the grounds of an argument of "History issue" afterwards. However, to call it as "The second invasion", South Korean is obliged to prove empirically and show the historical evidence that Takeshima was Korean territory before 1905, which SK had never succeeded whatsoever. The fact that Japan had incorporated Takeshima, which was not Korea's territory either, into Shimane Prefecture, it cannot be said, "The first sacrifice of the invasion in South Korea". Nevertheless, why does South Korea who invaded Japan's inherent territory Takeshima goes out of control as they are doing today? ---It is because diplomatic posture of Japan has not established. As for the solution of the Takeshima issue, it is not described in the manifest of the Democratic Party of Japan(民主党) though it appears in "Democratic Party policy collection INDEX2009(民主党政策集INDEX2009)". Their halfway/incomplete political stance appears to the fact from which "Takeshima" is not clearly described to the manual of the course of study of the high school on December 25 last year. In the midst of the confusion of Japanese political situation, ridiculing the unstable diplomatic policy, this issue ad was published by "Peace and history education unity of Asia". The fact it was published in the local paper of Shimane Prefecture that enacted "Takeshima Day" ordinance was tantamount to the mockery of primitive Japanese diplomacy. As for the solution of the Takeshima issue, though the Liberal-Democratic Party(自民党) made it as a public commitment in 1996, the they were also critical to the enactment of "Takeshima Day" ordinance in 2005. Meanwhile, it looks Democratic Party does not have strong will for solving the issue either. According Korean magazine "Monthly Korea(月刊朝鮮)", Mr. Hatoyama, the president of the Democratic Party (incumbent Prime Minister of Japan) that visited South Korea to have conferences with Han Myeongsuk(韓明淑), was reportedly said "It is a diplomatic failure of Japan that caused South Korean people to have the idea to receive the invasion from Japan again by the Takeshima issue". In addition, according to the magazine, when Ms. Han explained Hatoyama, "The purpose of President Roh Moo-hyun's special speech is to teach this Japanese Government and its people that Takeshima issue is not only a territory issue but also a problem of wrong perception of history of Japan. ", Hatoyama reportedly showed sympathy, saying "All territorial issues start from the history. For Takeshima issue, it seems for us to have to make an effort so that Japan may understand a historical fact more accurately." This Hatoyama's remark came after he received the one hour and a half long explanation concerning the Takeshima issue from South Korean Professor Hosaka Yuji, and this kind of history understanding closely resembles the perception of history of the Hokkaido teachers' union that is one of the power/voter bases of the Democratic Party. Hokkaido Teachers' Union reported Takeshima Issue in its organ/the study material as follows. 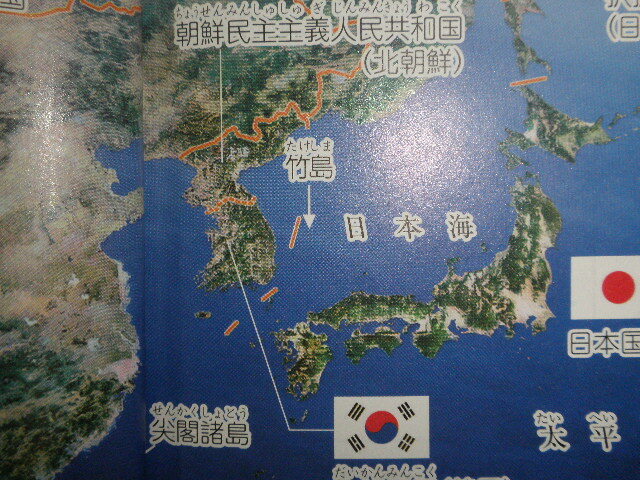 "A big difference of the perception of history of Japan-South Korea was shown off over "Takeshima/Dokto" issue. 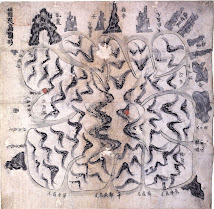 While it was recognized as a territorial issue in Japan, in Korea, it is considered as a problem of the invasion and colonizations because "Dokto" was occupied in the process of the colonization by Japan. In a word, when Ministry of Education, Culture, Sports, Science, and Technology clearly described "Takeshima as its territory" in the teacher's manual for Junior High school history, for Korea, it means the unfair move do try to justify its invasion and colonization of Korea. The thing is extremely important because if we peruse the historical fact, it is clear that Korea's claim follow the fact..."
Hokkaido teachers' union's perception of history is common with the opinion of "Peace and history education unity of Asia" (64 groups in the total of the composition group) of South Korea published in a San-in Chuo Shimpo. In fact, the advertiser of the issue ad, such as "Federation of Korean Trade Unions(韓国労働組合総連盟)", "Korean Confederation of Trade Unions(全国民主労働組合総連盟)", and "Korean Teachers & Education Workers' Union (全国教職員労働組合)", hold similar political stances with the power/voter bases of the Democratic Party. However, to our regret, there is no such a fact at all that Takeshima had historically become a South Korean territory. 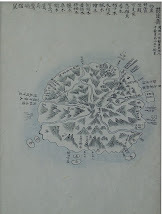 It is expressed in the issue ad of "Unity of Asian Peace and history education", that "As it is the centennial year of annexation this year, is it a time for both citizens to stand up in order to reflect on the wrong history so that it soften pains even a little in victims who might not have healed yet ?" This statement is not based on historical fact, though it seems to be at first site. Because Japan's annexation of Korea in 1910 has nothing to do with incorporation of Takeshima in 1906 in the first place. So, apparently, it is simply the sophistry for them to justify Korea's own invasion, to assert " Don't you think that they should delete Japan's territorial claim, which stimulates the pain that Korean doesn't want to recall, from the teacher's guideline of manual for Junior high school textbook?" Though we have no clue of the background why the issue ad, which disregard the historical fact, was published in San-in Chuo Shimpo, it was great for Japan in a way. Because we could identified who was responsible for the delay of the solution of the Takeshima issue and confused relations between Japan and South Korea. Then, let me request " Unity of Asian Peace and history education", who made issue ad, to show historical grounds that proves Takeshima was a Korean territory and to explain how on the earth Japan's territorial claim on the island could be "The second invasion". They are responsible for what they said and done as long as its contents derive far from historical fact and it is simply to criticize Japan, though I do listen to their opinion as the opinion.